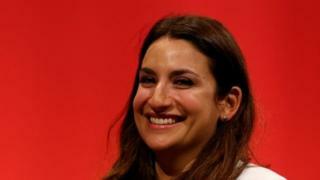 Labour’s deputy leader Tom Watson has said a local party chapter is being investigated over its suspect treatment of MP Luciana Berger. Mr Watson accused Liverpool Wavertree branch members of “bullying” the MP and was seeking to drive her out. The branch scrapped a fill to discuss a no-confidence flow in Ms Berger after an annoyed backlash. It said it had “no control” over actions tabled by members and spurned claims of browbeat and anti-Semitism.